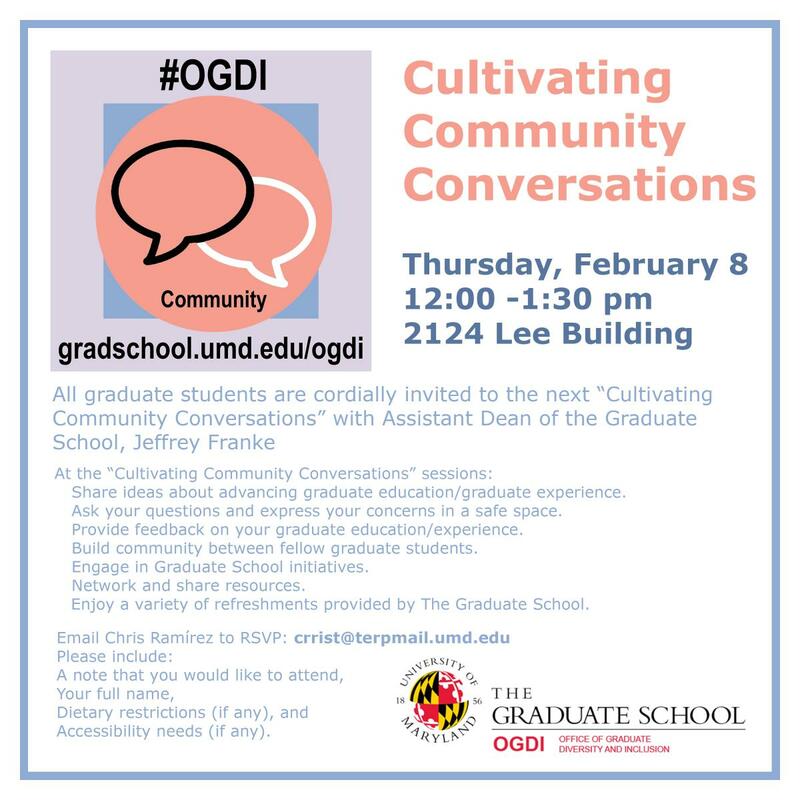 All CCC sessions are in 2124 Lee Building, and all #GradTerps are invited to RSVP. A variety of refreshments will be provided by The Graduate School during these sessions. We hope you join us!